I know its not the full blown Android or iOS port fans have been going on about for the last few years, but hey, it's a start, right? 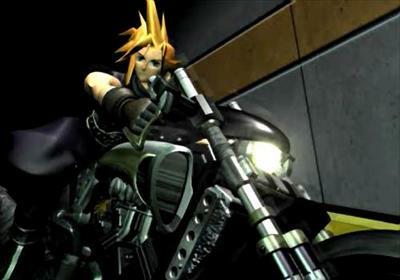 Square Enix has confirmed that a free-to-play remake of the Final Fantasy VII G Bike mini game found in the game's legendary Golden Saucer setting will be coming to iOS and Android later this year in Japan and America. This new game features all new graphics and a handful of new enemies and gameplay upgrades. The classic mini game puts you in control of Cloud who once again is swinging around that monster sword of his. This time, it is defense of his friends speeding in the truck ahead and under attack by Shinra soldiers. Not too many obstacles present themselves to Cloud, but he'll have to strategize when taking down the smarter red bikers or the B-lining orange bikers. Taking out a biker gets points, but if they smash into the truck, you lose points. Here is the original game to compare it to. Man, just listen to that song in the background. Talk about a nostalgia trip. Square Enix is teaming up with Naruto game developer CyberConnect2 to make this game, and who knows? Maybe the original game will be tucked away in there somewhere. What's next I wonder? Chocobo Racing or Snowboarding? I'll go with the later of the two. That was awesome.